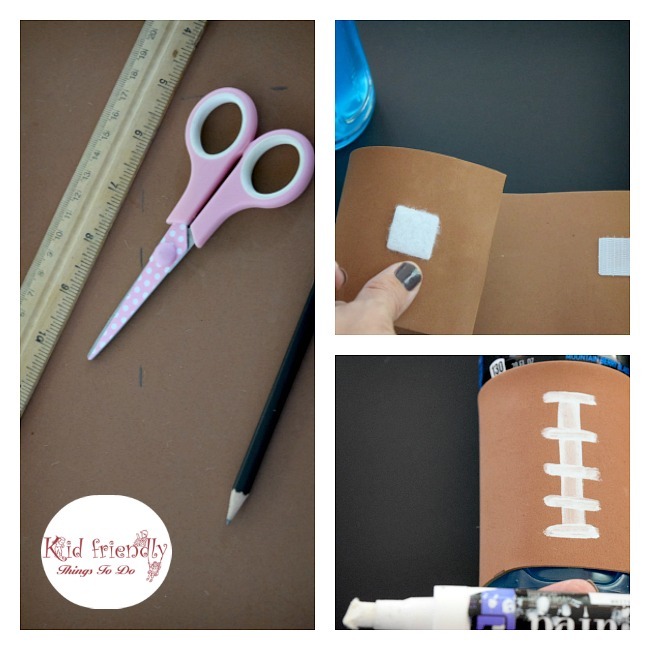 Home » Arts & Crafts » Football Watch Party Ideas, Football Themed Drink Cozy Craft & More! 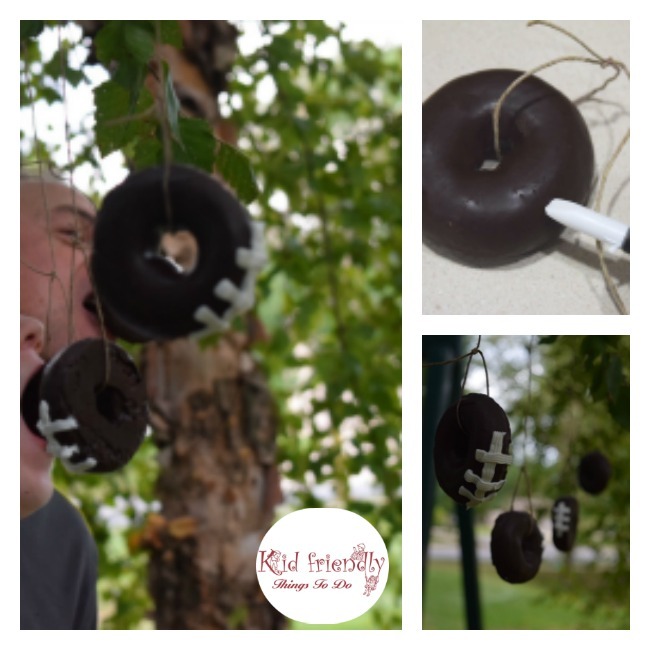 Football Watch Party Ideas, Football Themed Drink Cozy Craft & More! I love this time of year. It’s finally official…it’s fall! That means crisp fall days and football with friends and family. It’s really one of my favorite times of year. Of course with the changing of the seasons comes new sports, like football. Football is one of those sports that seems to bring the community together. I love that! After an entire week of late night sports practices, we are ready to celebrate with some football watching fun, while supporting our local high school football team! 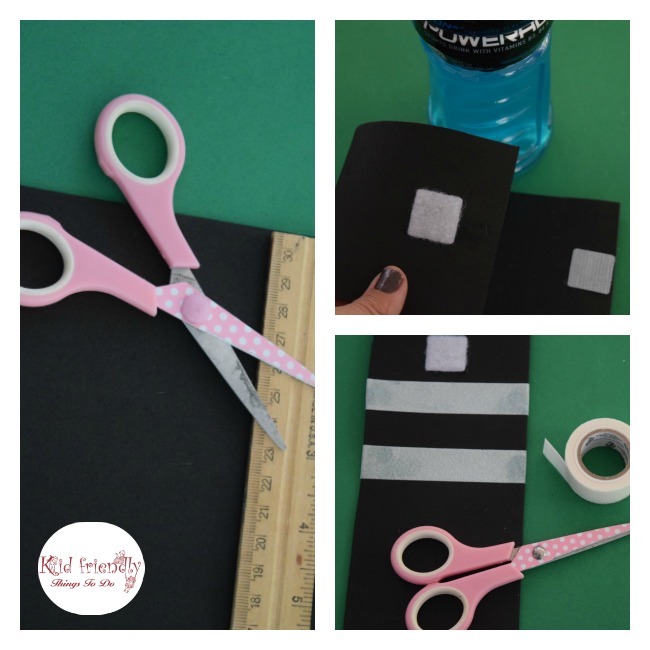 Come on in and I’ll share a fun craft idea that I have to help you cheer at your high school football games. Then, stick around because the week isn’t over before the weekend Football Watch Party with friends and family! I love the memories that are made at parties like this one. It’s really all about coming together with a common bond and sharing laughs, love, and of course…food! 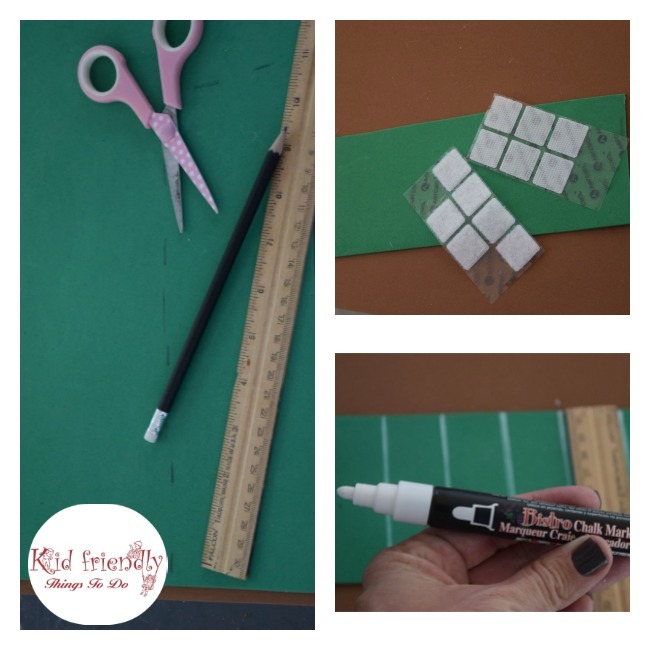 Use a white chalk marker to make lines for the field adding numbers starting with 50 in the middle for the 50 yard line and going down by 10 in each direction – Again, referring to the finished picture. Have fun at this week’s game! Now, just because the game is over, doesn’t mean the fun is! Why stop there? 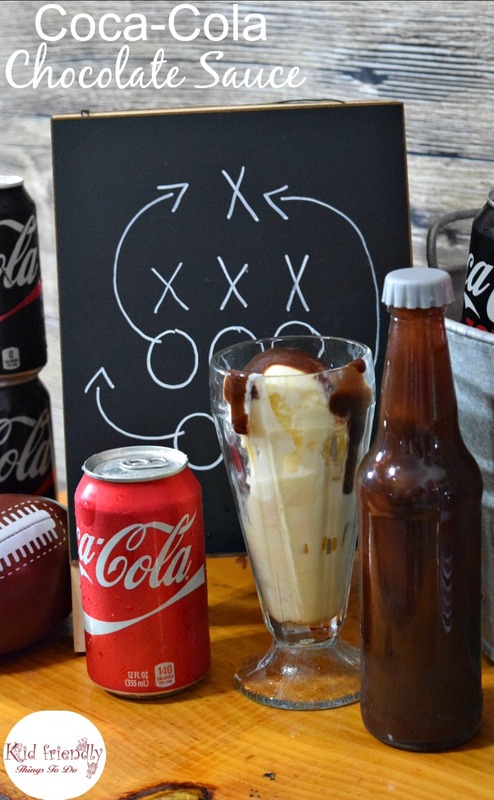 Bring the party home on the weekends, like I did for this College Football Watch Party! For my party, I stocked up on some essentials, like Coke Zero, and Coca-Cola Classic. I love using this fun galvanized tub for a cooler. With the party being Football themed, I grabbed 4 (1 ft.) pieces of PVC pipe, 1 more – a bit longer (about 18 in.) 2 elbows, and a T joint to make a field goal for the cooler. 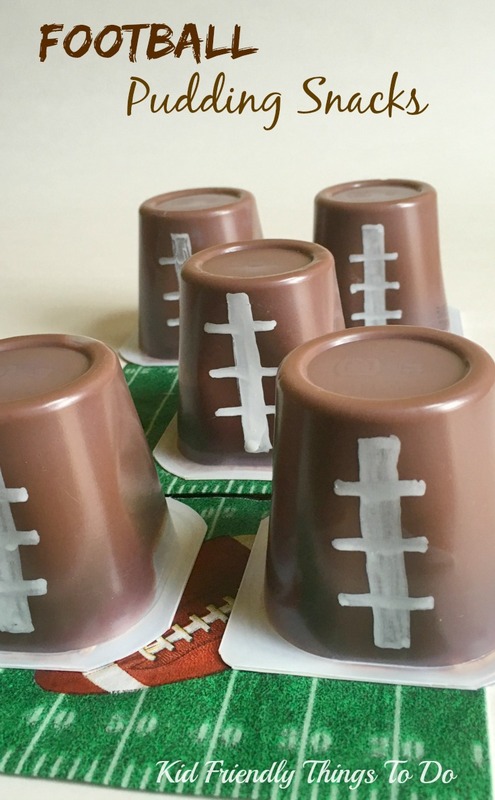 I had some green straws on hand, and used my Paint Marker to turn brown cups into footballs! I also found a chalkboard easel at Walmart, and I used my chalk marker to draw a fun game plan on it for a fun touch! 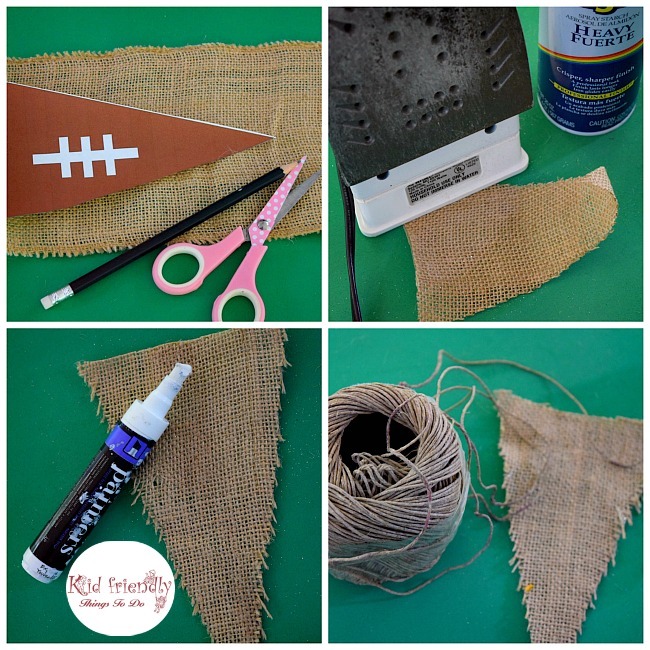 In keeping with my rustic decor, I made a simple Burlap Football Banner to go with my theme. 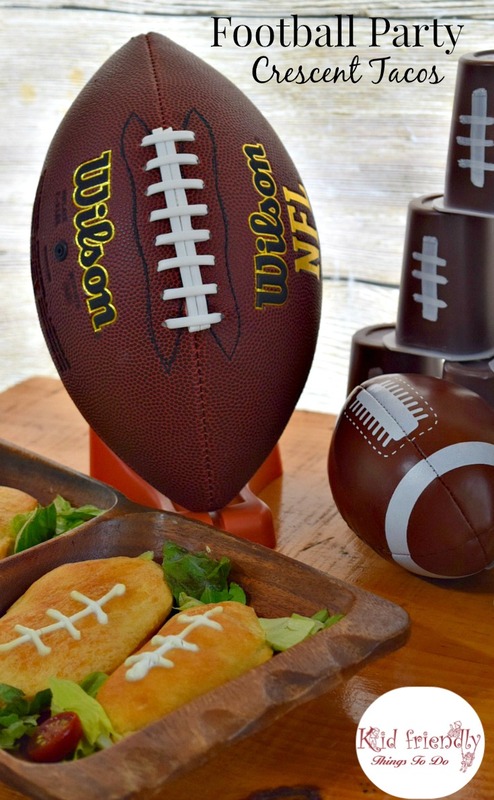 After my banner was complete, I turned to some fun football themed foods. This is so simple. 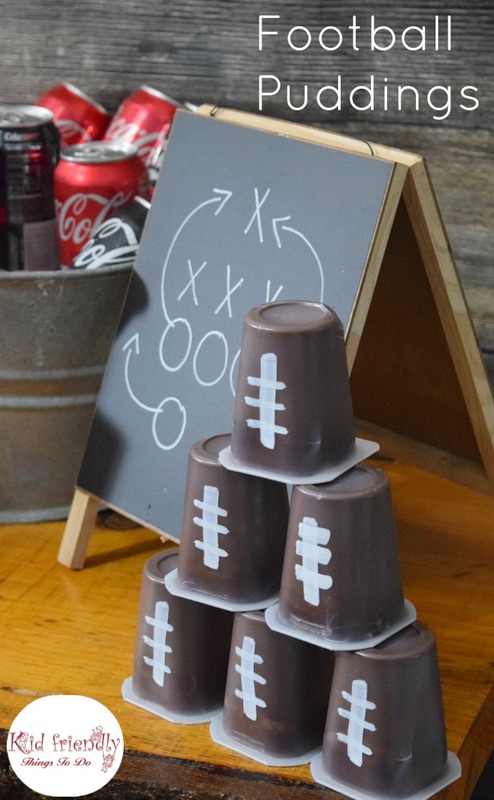 I just used my paint pen to turn pudding into footballs. The best part though, is the memories we all created playing these fun Football Themed Games! 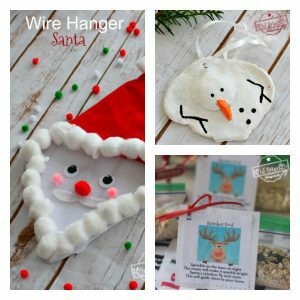 You’ll need: – Chocolate Doughnuts, string or rope, and white frosting *You can put frosting in a baggie and snip the corner out of the bag, or use a piping bag with a straight tip, like I did. Line everyone up in front of a doughnut. Have them put their hands behind their backs, and let the fun begin! The object is to be the first one (without cheating) to get a bite out of a doughnut. It’s harder than it looks! 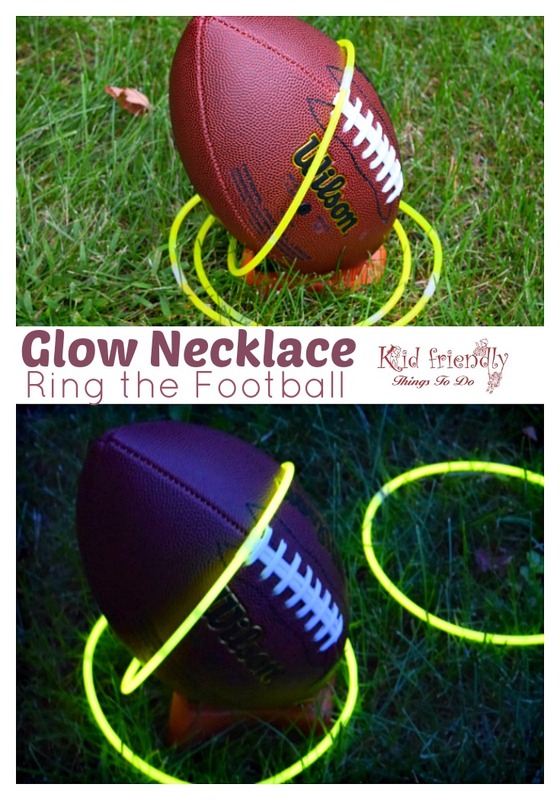 Then there’s glow necklace Football Ring Toss! We had a blast with this, too! 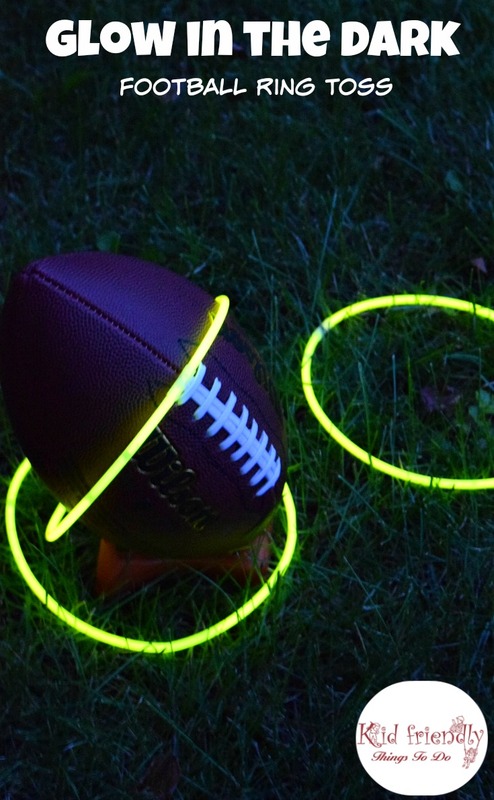 Just grab some glow necklaces, a football, and a stand for the football. 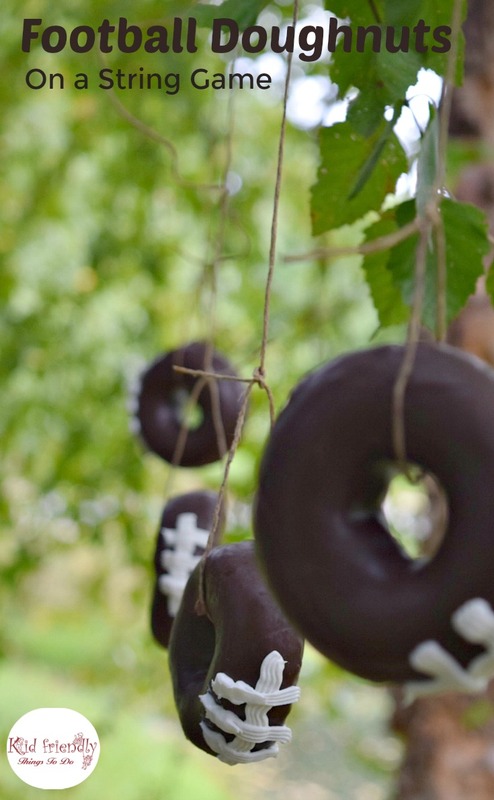 Toss away with your necklaces trying to ring the football! Go back later when it gets dark for night time fun! This is always a big hit with my family! 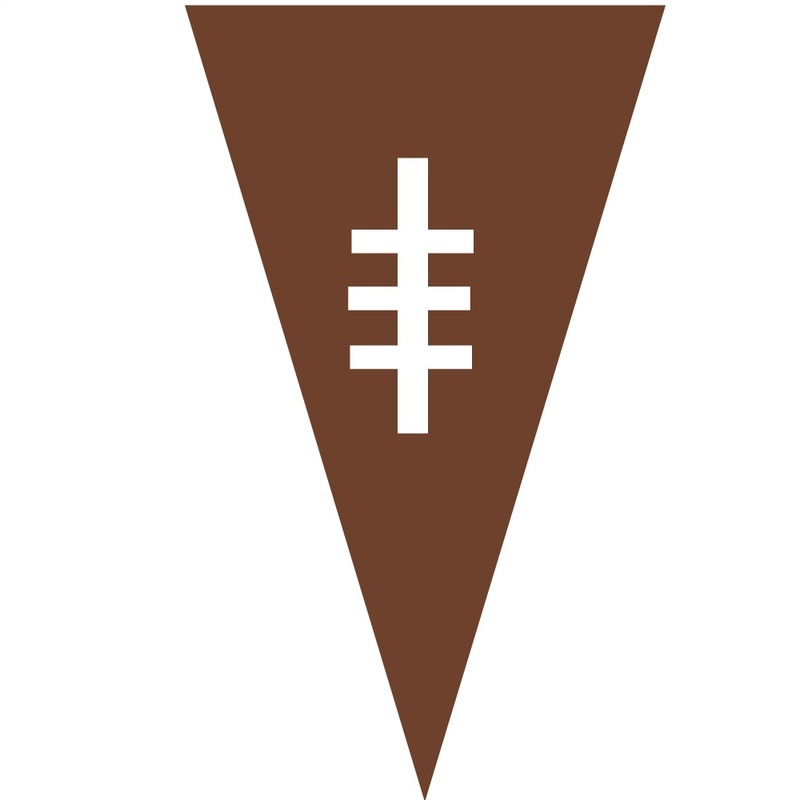 Grab yourself a soft football, and some brown cups. 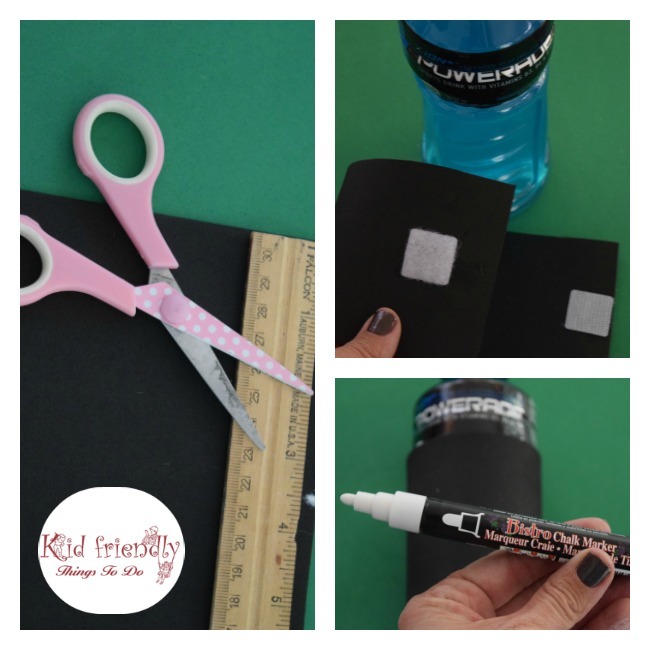 Use a white paint pen to make laces on the cups. 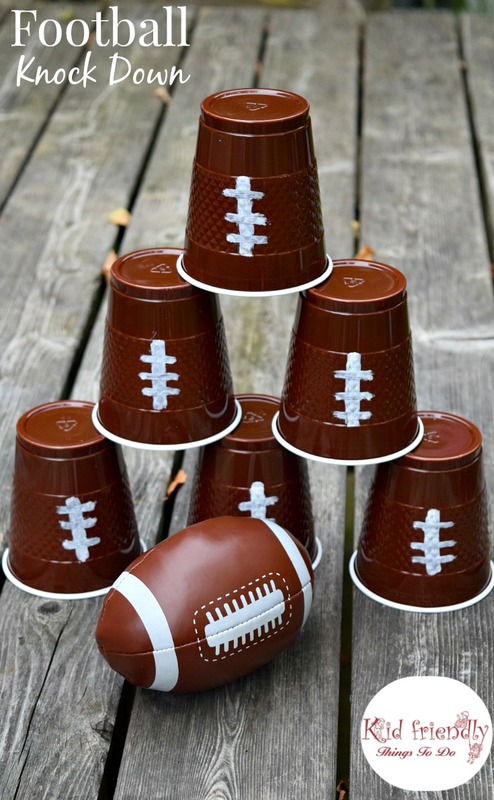 Stack the cups upside down and knock them down with the football! After the games, we headed inside to enjoy the football game on television, some more food, Coke Zero, and Coca-Cola Classic. * Here’s a little tip for you. 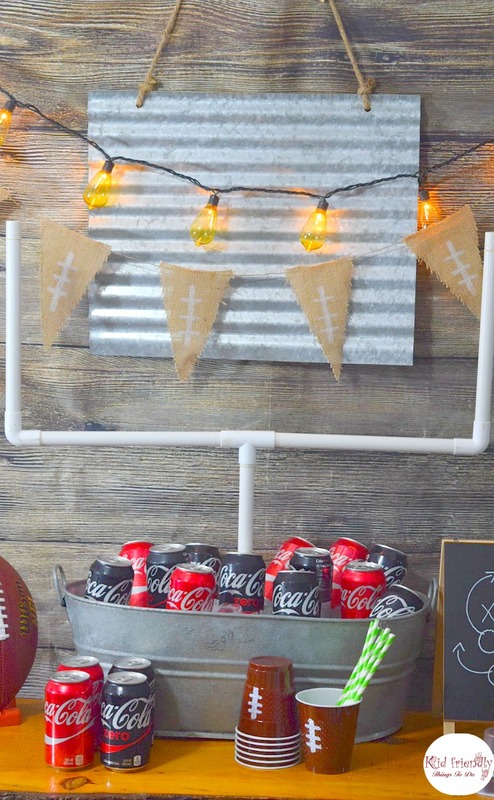 So you don’t have to miss any of the football action…Keep a cooler of the drinks like the Coke Zero and Coca-Cola that I used for my party, in the living room. 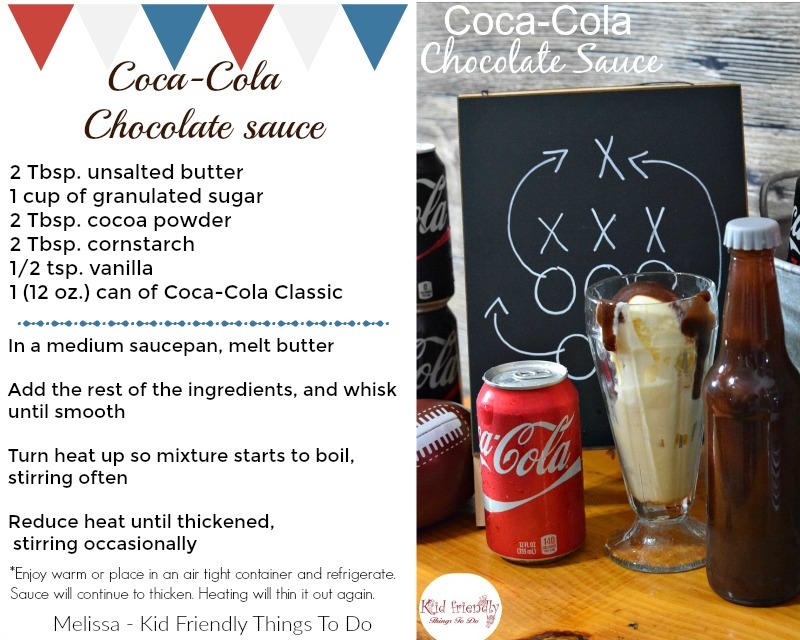 Later, when everyone is done with the munchies, and drinks, enjoy some Coca-Cola Chocolate Sauce over ice-cream. Yummy! 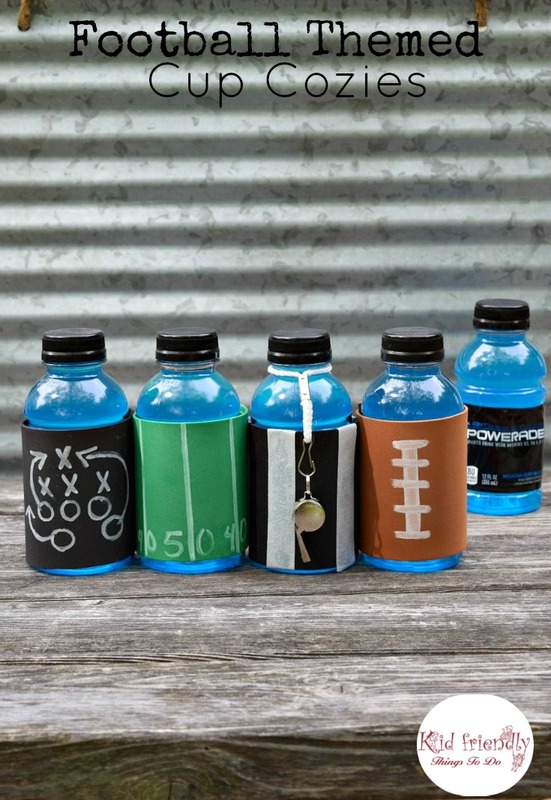 Before your big game day party, don’t forget to head over to Walmart to find everything you need for your Football supplies. From POWERADE to hydrate through the week, and Coke Zero to celebrate at the end of the week. 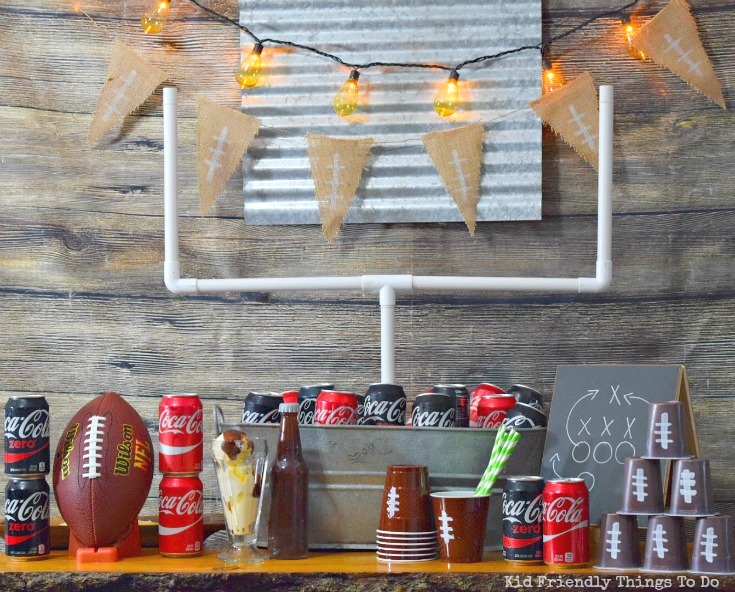 And then head over to NotSoFastMom.com for tips from ESPN Game Day host, Lee Corso on how to win at every game, more game day ideas, and tips! Just click, and click to enlarge, then print off. 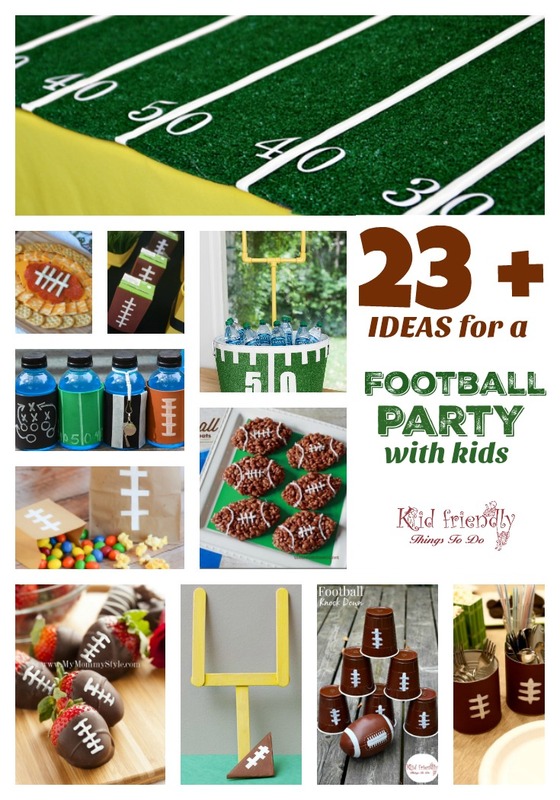 Over 23 Football Party With Kids Ideas - Decorations, Recipes, Games, & More! What great ideas!! 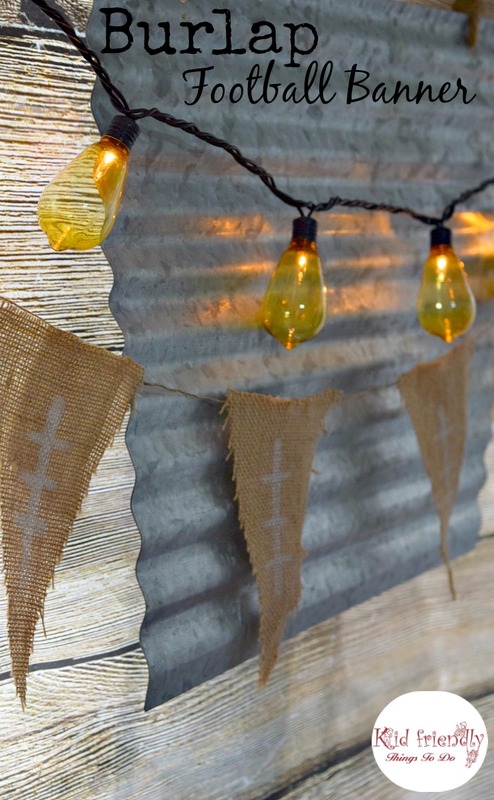 I love the little cozies, and the watch party looks like so much fun, too!